Hello guys! February 2019 Expat Event - with a special emphasis on welcoming our Newcomers - is already waiting for you! Come join us! 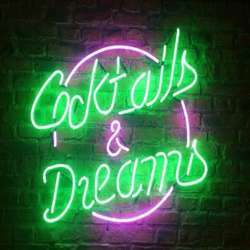 This month we invite you to a mixology -cocktail workshop- ! Our venue is a unique place in town. 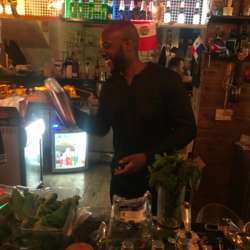 Mr. B is a trained mixologist and makes a huge range of cocktails to suit your taste. We'll enjoy our private area and wait for you with a free drink and cocktail work shop! Let us meet on Saturday, 16 February at this special place to enjoy a drink or two with other InterNations friends. Mr. B, our NEW location will be exclusively reserved for InterNations. 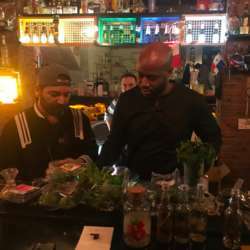 At the first hours of the night, we will start by mingling with each other and then feel free to create your own cocktail with our professionel bartender Bulent Yenilmez. If you do not want to join our mix lab, you can sip your drink and watch the event freely. Come mix and mingle with your fellow global minds at the InterNations Expat Event. Newcomers are very welcome to attend too - any first-time attendees? Join in the fun with us! IMPORTANT: Please don't forget to bring your passports or IDs to show that you are an expat as anyone who can not prove this will not be able to attend the event. PS: We will be using the guest list application so please bring your QR tickets with you. Also, Please Do not forget to sign on the guest list! Any guest who is not on the guest list will be charged extra even s/he is an ALBATROSS member!